UAE’s agriculture sector has undergone various changes. The major challenge that is faced is to conduct agriculture with minimum water. 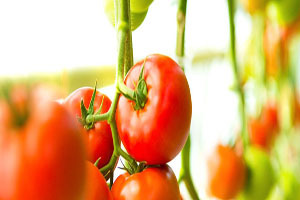 Modern irrigation systems and hydroponics are being increasingly engaged. Farmers are switching to organic farming. Agriculture is an old practice in the United Arab Emirates. The sector developed rapidly ever since 1971, fighting all odds like scarcity of water resources and arable land, soil salinity, difficult environmental conditions, high production costs, agricultural pests and post-harvest losses. Agriculture is also becoming an economically beneficial activity that relies on the use of the latest technologies. Vast efforts were made to preserve water resources, with emphasis on promoting the adoption and installation of modern irrigation systems to replace flood irrigation method, which wastes large amounts of water. The use of modern irrigation systems (sprinkler, drip and fountain irrigation systems) rose to 91 per cent in 2011 from 32 per cent in 1999. Also there was an increase in the number of farms from 4,000 in 1971 to 35,704 in 2011, with an area of 105,257 hectares. Consequentially, there are now 54 organic vegetation farms, three animal production farms and one manufacturing facility and the organic production area in the UAE increased to 3920 hectares. Through endurable agriculture, UAE aims to ensure optimal food production systems and implement resilient agricultural practices that increase productivity and production, that help maintain ecosystems. The Ministry of Climate Change and Environment has put a priority on increasing the use of hydroponic technology among farmers, which relies on nutrient-rich water to grow plants with the use of little or no soil. The method saves up to 70 per cent of water, while allowing for a longer growing season and avoiding harmful chemicals. And as a result, today there are 87 commercial farms using this technology.